Balancing hovering with letting go, aka "parenting"
So with that in mind, here is a list of products we’ve used, liked, and hated. And since our house doesn’t feature stairs prominently, we’ve brought back guest poster Alice whose house resembles an MC Escher palace of staircases. 1. Outlets. This one is real. Curious babies or toddlers can actually hurt themselves here but… many ways of making outlets safe are extremely inconvenient to you, the parent. The problem with solutions that are very inconvenient is that with time, it’s easy to stop implementing them (see every time you’ve ever seen outlet covers on the floor of a room), and then what you’ve done is actually nothing at all. For this reason, I am not a fan of outlet covers. Instead I recommend putting in modern outlets. Basically, these have little internal gates that don’t give way unless they have equal pressure in both holes, easy to do with a plug, hard to do with a paper clip or finger. They are formally called “Tamper-resistant electrical receptacles,” are available from multiple manufacturers (look for the “TR” on the outlet), and you can get more information from the National Fire Protection Association. These are super easy to install yourself. Or you can, of course, invite an electrician or “helpful” (aka meddling) parent-in-law to your house to do all of them at once. At a minimum, I urge you to do this with all the outlets in your child’s room so that it is a safe place for them to explore on their own. Someday, before you realize it, you may be putting someone in there for a time out and you want to minimize the damage from that experience. on your bookshelves when you're not looking! 2. Attaching heavy things. Please do attach your bookshelves (and anything else a resourceful little monster can climb or tip over) to the wall. Many furniture items come with the brackets to do this (we previously had a whole drawer of IKEA provided ones), but if you have a piece that did not, you can get something like these 40mm Angle Brackets. This is another good project if you’re learning some DIY, or you like power tools, or have an over-eager relative who needs to find some way to help. And once again, this goes double and triple for anything in the child’s room. 3.Also take a look at your television. The transition to flat-screens has turned TVs into large, precariously balanced, light-enough-to-tip-but-heavy-enough-to-injure devices. 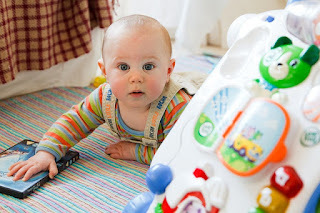 Given that they are usually in prominent locations within a room, kids can easily hit their stand with a running start and cause an accident. There are two major ways to address this, straps to hold a TV down on its current surface or mounts to permanently attach to the wall or furniture. Mounting your TV to the wall is pretty standard these days in various room types, but for those of us without an obvious location to do so, there exist TV stands/entertainment centers that contain an upright arm and standard mounting bracket so you can still feel confident with a TV in the middle of the room. You can find many such things on Amazon, though the subset with doors is frustratingly small. We actually own one of each, a stand (no longer manufactured) for the living room and a Parent Unit Anti-Tip Anchoring System in the home office. This is a non-standard type that allows you to mount the strap to the top surface of the stand as the cardboard back of the cheap rolling TV stand would not support any tension. We live in a split-level condo with a living/play room at the top of one steep set of stairs and our dining room at the top of another. So, while I hate the extra inconvenience, this is a bit of baby proofing we really couldn’t do without. Gates at the top of stairs also have more stringent requirements than those at the bottom or in regular doorways. For one, you want to make sure these gates are screwed into the wall, not pressure mounted, since you don’t want a kid to bring the gate crashing down the stairway while roughhousing or trying to climb over it. You also particularly want to avoid trip hazards, like a bar along the bottom of the gate. For this reason, we chose Retract-A-Gate mesh gates. These gates are extremely flexible. They can be made to fit almost any size opening, and can be installed at an angle, where the gate is not perpendicular to the wall -- particularly important in bizarre old attic spaces like our place. They are easy to open and lock once you get the hang of it, and you can even install multiple frames and move the actual gates between them depending on where in the house you’re located, although we just splurged and got two gates for the two frames. And it is a splurge - these are definitely some of the more expensive gates on the market. The only other negative is that these gates can be a challenge for guests, since they may not know to release the lock before pulling the gate open, or may forget to lock it when closing. Then again, chances are that most gates on the market won’t be great for visitors. We don’t use gates for the bottom of our stairs, and also don’t gate the 3-step mini-flight that leads to our hallway - if the kiddo wants to experiment with falling down the stairs, this is a better place to do it than most. (Yes, he has already fallen down a set of stairs in his 15 months of life. Yes, he was fine. No, I don’t think he learned a lesson yet, unfortunately. Yes, mom was far more traumatized by the experience than he seemed to be.) If you do want a gate between rooms or at the bottom of your stairs, I’ve heard good things about the Summer Infant Gate. a. Corner guards. We honestly hardly have these because we wanted our kids to learn to be careful and that hitting their heads hurts. Of course, there is a difference between an “ouch” and “child needs stitches” so we did get a couple of Rhoost Corner Protectors for the really sharp corners. They have mixed reviews on Amazon precisely for the reason we like them - they merely make sharp corners dull. We also like these because they attach to furniture without glue and so won’t damage it and also because they come in multiple colors to blend in really well so your house doesn’t look like a padded room in an insane asylum… at least not for that reason. b.Cabinet locks. We didn’t use these at all because our kitchen is a separate room and our children aren’t allowed in there without supervision. Once in the kitchen, our toddler is allowed to open and close the cabinets, but not take anything out. We are there to enforce this and remove her if she doesn’t comply. However, if you live in a home with an open floor plan, constant vigilance may not be an option and locking up the cleaning supplies may be a necessity. For this reason, we turn to Alice yet again…. If you only have cabinets with side-by-side round knobs you can use a multitude of products - heck, you can use a rubber-band and wrap it around the handles a couple times if you don’t need to get in there too frequently. But for other types of cabinets (and even for your toilet seat, if need be) you can use these latches. We ordered a bunch and have been using them freely, as well as handing them out to the grandparents as needed. c. Spout cover. This is Alice again adding a link to this tiny bath-time whale. We don’t yet have this guy because we’re still using the infant tub with our under-sized toddler, but I look forward to getting it - there aren’t too many child-proofing products that actually look good. Of course, a mat for the tub is also a must. We have this alligator one from IKEA. I am thrilled to introduce today’s guest blogger - Miranda. Recently, we’ve started cooking with our toddler and Miranda has given us some great tips on gear, safety, and of course fun! We thought we’d share her wisdom with you too. Though she is not a city dweller, this blog welcomes good ideas from all sources. And with that, take it away, Miranda! First off, I want to thank Dina and Lee for letting me to contribute to their blog. I’m so excited to be able to share some thoughts on cooking with toddlers! Although, to be fair, I have only ever cooked with one toddler, my 2.3-year-old daughter, Mabel. Why cook with your toddler? ask for her help and then guide her, sometimes more than others, as she takes 100 times longer than I would have. Cooking with Mabel is messier, slower, and a lot more complicated than cooking alone. So, if it’s such a hassle, why do I bother to include her? For one, she loves it! She’s at the age where she wants to help with anything - the more grown up, the better. Involving her in cooking dinner also lets me cook while she is awake and reserves precious nap time for other things. Including toddlers in cooking is also widely thought to help with picky eating. I am, so far, blessed with a child who will eat most anything (fingers crossed, knock-on-wood), but it still pleases me to no end when she tastes each ingredient in a dish and declares “Mum!” (i.e., yum). I try to strike a balance between including my child to the fullest extent possible, keeping her from harming herself, and producing an edible meal. Between her continually developing skill set and my recognition and accommodation of those skills, no two dinner preparations are the same and what works for us may very well not work for you. I do, however, hope that the following thoughts provide some direction or at least a jumping off point for your own adventures in cooking with your toddler. In order for the actual cooking to go smoothly, I usually have to do a little game-planning ahead of time. I might knock out a couple of tasks that she definitely can’t help with and I know will bore her. I might assemble needed ingredients and tools so I don’t have to leave her alone for significant periods of time. Mostly, I try to make sure I am confident in my grasp of whatever we’re making so I can be relaxed while we’re cooking together. Stressing about getting a recipe right while engaging with a toddler is, for me, impossible. Another thing to keep in mind is safety. I am not an overly protective parent. I know my child will, at some point, cut her finger, burn her hand, and drop something heavy on her foot. I know this because I have done all these things, and more, many times over. To some extent, it is just part of cooking. I do try, however, to keep her from permanently damaging herself. - She has been taught, and is continually reminded, never to touch the cutting board while I am chopping (yes, she is close enough to touch the cutting board while I chop). - She needs to ask permission before she nibbles stray bits off the counter (lest she accidentally ingest something like jalapeno seeds). - I never leave sharp knives or hot pans within reach (although the extent of her reach continues to surprise me). - I have found that having an induction cooktop is very helpful to my peace of mind. There is no open flame and nothing gets hot except the pot and the glass directly beneath the pot leaving the rest of the cooktop cool. When I began including Mabel in kitchen activities I would lift her up and let her sit on the counter next to me. This was better than nothing, but not by much. For one thing, we had to have a conversation about how she needed to not wiggle or grab things every time I needed to turn around. It also put her at an awkward height. She could watch while sitting on the counter, but she didn’t want to watch, she wanted to DO. Next we tried putting her in a clip-on high chair that was clamped to the overhang of the island. (We have an Inglesina Fast Table Chair. The Inglesina is great because the cover comes off easily and is machine washable.) This was a much better solution. She was contained; I could put her in the chair and she couldn’t scoot over to where I’d left the knife. She was also at a good height for seeing and helping. It wasn’t perfect, though, largely because it meant I needed to work while standing next to her at the island. She would get very upset whenever I walked over to the stove to stir a pot. This was clearly a problem. Another thing to consider is clothing protection. I don’t always get out the aprons but I absolutely do when we’re working with something messy or staining. You could certainly use an art smock (I love these from Ikea). 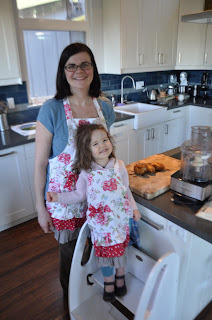 But Mabel and I have Mama and Me Aprons and, yes, we’re adorable. - Mixing, whisking, and stirring - You can take turns doing this because if your kiddo is anything like mine, she doesn’t do an adequate job. - Pouring - Anything, all the time, my word she loves to pour! - Scooping/measuring - Sometimes I level off scoops and let her dump them in the bowl. More fun, though, is to put the bowl on a kitchen scale and set her free to scoop until the desired weight is reached. Bonus: lesson in reading numbers with this method! - Cutting - We got her the Curious Chef 3-Piece Nylon Knife Set. Note, toddler knives are not sharp (duh!) so they can only cut some things (ex. grapes, mushrooms, soft-ish cheeses, tofu) and they do not cut cleanly. - Peeling - Ex. garlic, sticks of butter, onions, hard-boiled eggs. - Washing vegetables - She ADORES operating the salad spinner. - Pushing buttons - On the food processor, blender, hand mixer, etc. I am also trying to involve Mabel in cleaning up after cooking but that is very much still a work in progress around here. So far, I have found two ways to have Mabel help me clean up. First, I can ask her to put dishes and ingredients away. Some things are safe for her to put straight into the dishwasher and some things, like baking powder, she can put back in the pantry. This can be a tricky one, though, because most cabinets at her height are toddler-proofed (imagine that!). Second, she loves to wipe down counters. I spray a little cleanser on the counter and then let her have at it with a sponge. She obviously has a limited range and is wildly ineffective at actually cleaning, but see above re: toddlers are not actually helpful. After all this “helping” Mabel and I both find great satisfaction regaling the other members of our dinner party with all the ways she contributed. The foods we cook together are exactly the foods she will be eating at dinner. There are no special toddler meals in my house, so it’s a great way to remind her of the things she accomplished and of all the yummy foods we used to make dinner (Remember peeling the eggs? Tell Dad about how you cut the cucumbers with your knife. Did you like tasting the cucumbers? I see some more on your plate, have another bite!). Involving Mabel in cooking also helps her understand more deeply that preparing food takes time and effort and, I think, helps her be patient when food isn’t ready yet. And, hopefully, someday, will help her learn to love cooking as much as I do. Miranda is a former librarian, current full time mom, and enthusiastic cook. She lives with her family outside of San Francisco. What gift do you get for your favorite set of parents who have everything and/or no room for anything else? Here are some suggestions for gifts that are sure to be appreciated almost universally by parents, but most especially those tight on space! This one makes the rounds frequently for new parents, but everyone loves takeout/delivery. After a night when one kid wants to stand on the train seat and the other refuses to go to sleep, it's good to be married to "someone who knows when it’s time to order Chinese." (Also, seriously internet, no GIFs/memes on this Orange is the New Black line?) Better yet, to do that when already been paid for. Foodler is our pick for services, but your recipient's area may be better served by Seamless, GrubHub, etc. Every parent in the history of time could use the gift of a break from their little miracles. However, finding reliable caregivers (and then being able to afford them) makes the prospect of planning an evening out more overwhelming than training to run a marathon. This is a website that matches parents with willing and vetted caregivers. It is an especially great gift to give if you are a non-local grandparent and cannot offer your own babysitting in person. Ok, I surely don't have to explain Amazon Prime, but it's a great resource for families. It can feel like a splurge given the price, but that's what makes it a perfect gift! Free 2-day delivery is already a great deal, but add-in the additional discounts on diapers, the free TV/Movie streaming, and the Kindle free library, it's definitely worth the money. Bonus Amazon feature: you can download TV/movies to view offline, which means the kids can watch Sesame Street (or many other things) on a plane with no wifi. Grocery delivery is a luxury for urban dwellers and for those days when getting the newborn (or toddler) out of the house seems impossible, services like Peapod or your local grocery store's options can save the day. Find a farmshare, CSA, or other produce delivery service, and it can make cooking a "real meal" at home that much easier. Plus, it gives everyone in the family an excuse to try new (and in-season!) foods. For folks in the Boston metro area, we recommend Boston Organics which combines the best of a farmshare and a grocery store that delivers. On the topic of splurges, going carfree means knowing the cost of each trip you take. Having (gifted) credit for your transport method of choice allows you to be confident when you take a trip to the children's' museum in the snow, pick up that extra jug of laundry detergent, or hit that networking event after work because you can make it home quickly. Any one of these is an easy win for the whole family. Once the kids are old enough for some screen time, a carefully chosen 30 minutes of streaming for the kids can be a serious relief after a difficult day (plus it's pretty fun to watch Sesame Street with the kiddos). Once the kids are in bed, sometimes all you can muster is sitting on the couch with whatever from your fridge doesn't require adding heat, a glass of wine (see below), and an episode (or 3) of the show from 5 years ago you were too busy to watch when you went out every night. Childrens' museums can be pretty awesome in general (thank you Magic House in St. Louis for great childhood memories), but especially if you live somewhere with tough weather (too cold, too hot, whatever), many have great spaces for kids of many ages to run around and get everyone out of the house. 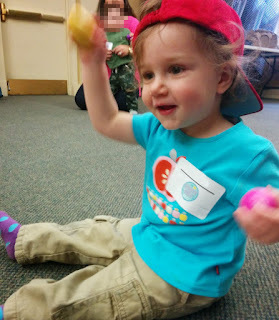 The Boston Children's Museum (and their under-3 specific space) was a total godsend this past hellish winter. Without oodles of space, experiences are a great gift for families. 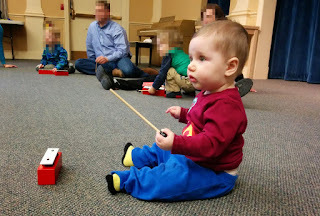 Music Together (franchised under many different names city-to-city) fits in the niche between music theory, silly songs/hand motions, exposure to instruments, playgroup, and place to meet other parents. Also, very welcoming of Dads, grandparents, and other caregivers. If you're in Boston, the local franchise is Groovy Baby Music, click here for a $15 discount. If you know that your recipient parent enjoys the occasional massage or trip to their salon of choice, this can be a great way to gift them a little "me time." Especially if paired with a gift certificate for or offer of child care, you may become their very favorite person of the month. It is a well known "tee hee wink wink" joke on mom blogs that moms just love wine. Ok but it's really true, and not just for moms. Sometimes parenting requires alcohol for everyone's sanity. Whether it's because your 5 month old had explosive diarrhea all over the crib or your 2 year old screamed for an hour at bedtime, wine is the legal way to solve the problem after the ankle-bitters are clean and angelically snoozing. So if you know your favorite parent's preferred drink (it's Navarro Vineyards for us), go ahead and get them a case (many wineries will ship to many/most states). Alternatively get them a membership to the Tasting Room so they can try lots of different things and keep that salve coming on a schedule. Ok so it's not really a nanny in your pocket, which would be super cool, if a little creepy. It is, however a nifty little device that helps sleep deprived parents keep track of when the baby last ate/slept/had a diaper change. Sure there's tons of apps out there for that, but you can't clip those apps to the baby as you hand him to your just arrived-home-from-work partner as you run to pass out for a much needed nap. The nightlight, we've found, is just the perfect intensity for nighttime feedings. This is definitely one of those "not a necessity but it sure is nice to have" things, which makes it the perfect present, in our opinion, to bestow on your favorite expecting couple. Between middle-of-the-night feedings, teething, colds, and toddlers' habit of waking up with the sun, coffee is a necessity for any parent. And that often means coffee on-the-go: on the way to daycare/work, on the way to the doctor, or while the kid runs around the nearest playground in the cold. Thus, a great coffee cup is a great present. With all due respect to The Sweethome (who eliminated all mugs without a handle), this is simply the best mug. Here's 4 reasons why: 1) It keeps coffee hot for a LONG time, 2) When closed, it really is spill-proof, 3) It's cheap enough that you can forget it somewhere and not feel awful about replacing it, 4) I have 100% confidence I will not spill hot coffee all over my stroller (or baby) when it sits in the stroller cupholder over even the most uneven of sidewalk. Headphones are great for parents of babies (or expectant parents) because they spend an awful lot of time feeding them or sitting in a dark room trying to get them to go to sleep. This is time that could be spent listening to music, podcasts, or audio books. Parents of toddlers, on the other hand, may occasionally want to tune out some of the less than pleasant vocalizations their charges make.... for an hour. In particular, I'd recommend some wireless headphones that your baby won't grab and yank while you're feeding him and that your toddler won't decide is a necklace when you make the mistake of leaving it somewhere within reach. This is a good place where you can splurge on some high quality ones for the favorite parents in your life (Plantronics BackBeat Fit Bluetooth Headphones are a great choice) . We recommend this with the following caveat - only get this if you know that the parent in question is into fitness AND would like one. Ask yourself (especially if the recipient is a recent mother who birthed a child) if there is even the slightest chance that this could be taken as a "hint" to lose weight and if so MOVE ALONG, DO NOT GET. Otherwise, go ahead and get the parent in your life a Garmin vívofit Activity Tracker . We recommend this one over the more popular Fitbit , because it does not need to be charged overnight. Parents have a slight tendency to be absent minded, so go ahead and simplify this one thing in their life for them. On-the-go in the city sometimes means pushing the cell phone (or bluetooth headphones) so hard you run out of juice before you get home. When the phone is your source for next bus/train info, your way to order Uber, or to listen to podcasts while the baby sleeps in the stroller, this is a near-catastrophe. Avoid/solve it with a portable battery pack you can keep in the diaper bag, briefcase, purse, coat pocket, etc. Also works great for a long airplane/train/bus trip without access to seat-side power (or just avoid the crowd huddled around the lone power outlet at the airport). For some specific suggestions and background, you can check out detailed reviews at The Wirecutter. Those are our thoughts for 2015. 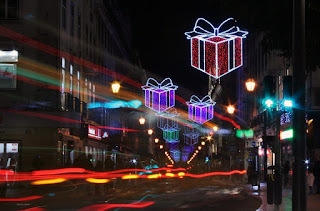 What gifts did we miss or are you secretly hoping for? Join the conversation below or on our Facebook page. If you've spent even 5 seconds in a baby store you may have noticed something disturbing. All the clothing, from premature baby sizes on up is neatly divided into "boys" and "girls" sections. What's even weirder about this abrupt line is that eyeing the sections quickly will reveal that girls get one color (pink, with the occasional purple accent thrown in) and boys get all the other colors. This is so incredibly limiting to both genders, but especially to girls. There is a lot of science on how adults interact differently with babies and kids if they believe the child to be a boy or a girl (regardless of the truth). Obviously, we don't "hide" the gender of either of our children (I'm not sure how that would even work). But we do want them to feel free to pick anything off the buffet of options that life has to offer. You may think that dressing your daughter exclusively in pink isn't a problem as long as you get her blocks to play with (hey! they even make pink ones of those too... gag). One problem with that, among others, is what happens when she encounters non pink toys and decides that they aren't for her. It is this subtle segregation of kids by gender role that rubs me very much the wrong way. By the way, if you think "it's always been this way, why make waves? ", I'm here to tell this is not true. Toys are way more gendered now than they were 30 years ago. Finally, if I haven't convinced you yet of the value of dressing all children in all the colors, then consider the following. Buying more neutral clothing is practical if you want to maximize the number of hand-me downs available for any other children in your future, whether they be yours or those of friends and family. Finally, here is a great blog post on this whole topic from another mother. If you're thinking that this is all very noble but highly challenging, then you are correct. For starters, well meaning people in your life will buy you whatever they feel like (especially as new baby presents). The difficulty increases as you start to leave baby clothing. (At least some baby clothing is less gendered, due to the fact that a portion of people wait until the baby is born to find that out.) Obviously, it's nearly impossible to control what other people do, but where does one buy clothing for one's own children to balance out the onslaught of frilly pink dresses? Here are some tips and brands we've found that present great options in this dimension (scroll to the end to find out how to make this affordable). - Zutano: Available directly from their site, as well as on Amazon and Giggle, this brand sells really high quality clothing, with fun designs, that will definitely survive multiple children's antics. - Magnificent Baby: This is a really wonderful brand (see their Amazon store) that sells clothing with magnetic closures (these are particularly awesome when traveling and trying to change a diaper in a bathroom on a moving train or airplane). It's true that their clothing are all labeled "boy" and "girl," but we can look past this sad state of affairs due to the fact that the actual designs are really adorable and not actually gendered. - Boden: You may have seen their adult clothing line at Nordstroms or a British high street. Their children's clothing, however, available here, is particularly excellent. They sell a single line for babies under 3. While the mini line (starting at one and a half years) are also divided by gender, most of the pieces are easily appropriate for all kids. (Note to watch: the "boys" clothing runs a bit bigger so pay attention to the size chart when choosing which size to get). - Polarn O. Pyret: This is a Swedish brand that sells fantastic clothing for active play, including great outerwear. They even have a line called "uni" that is specifically not targeted. You can buy it at their site or on Amazon. Word of caution: their sizes run huuuuuuge because apparently Swedish children are giants in the making so pay careful attention to the size chart. - Gap: Ok so this one is a bit of a stretch. Their clothing is most definitely gendered. That said, their "playroom" line is really appropriate for anyone. Absolutely a good option, that's obviously easy to find everywhere in America. - Just buying clothing and putting it on your children. Who said that trucks and flowers are just for half the children? Oh My God! I just spent a king's ransom dressing my child! Some of the above brands can absolutely run very expensive. We are in no way advocating that you spend $24 on a t-shirt that your toddler will grow out in 4 months (or cover in escalator grease... that said, if they do cover it in escalator grease, here are some cleaning tips). Here are some ways you can buy clothing that fit with your world view without breaking the bank. End of Season Sales - You, as a member of modern society, are aware of how calendars work. When all the high end brand websites and stores are clearing out their winter clothes, it's time to go to town on sizes that will fit your kid in 6 months. This is the perfect opportunity to buy winter coats, sweaters, and pants at half off or more. (Conversely, the end of August is great for buying bathing suits which are also really expensive for kids if they have a built in diaper.) Sure, storage space at your house is probably at a premium, but this is the kind of thing that can get put in a bin that goes in that impossible to reach corner of your closet. Amazon Mom sales - Once you've signed up for Amazon Mom, keep an eye out for emails and coupons from Amazon with periodic sales as well as using their advanced search to find deeply discounted items. This seems like a lot of work... is it worth it? So I guess this depends on your outlook on life. This seems worth it to me. It's really important to me that my children know that they can climb any play ground structure, play with any toy, and try any new thing they want. I never want either of them to think that their gender has anything to do with those decisions. Clothing may not seem like a big deal, but it's amazing how small attitude changes affect children. We let our toddler pick her clothing out every morning. Some days she picks the fire truck shirt and other days the frilly dress. Either way, for now, she knows that she can do anything! So you want to have another kid over for dinner? Have you noticed how when you were in your 20's you were constantly going to weddings? Then suddenly, all those people who you partied with all night decided to go ahead and reproduce... bummer... Or not! You can still see them! Maybe your babies will even like each other! Why don't we have them over for dinner? Yes that sounds civilized! Then you realize that you have only 1 high chair and where is the other baby/toddler/kid going to sit? Maybe you should buy another high chair? <cue laughter> Obviously, this blog would never recommend something so wasteful. Instead we would recommend a number of products that store easily and can be configured in a number of different ways, depending on the age (and constraint) of the visiting child. Here is a list of common constraints you may face when trying to accommodate your pint sized guest and how to address each one. 3. Children are squirmy. 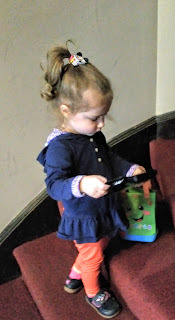 If your visitor is still too young not to just jump off the (possibly raised) seat and hurt themselves, then you can solve this problem too by using a Toddler Safety Harness . This is a great way to secure a toddler to a chair. We have one of these for use both with visitors as well as with our own child on our kitchen bar stools.